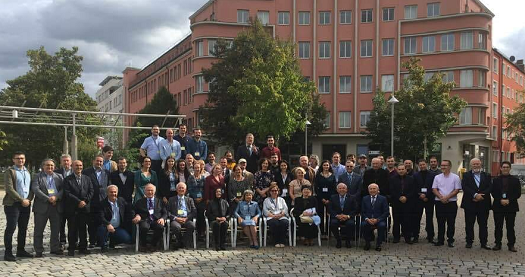 The First International Circassian Conference was held at the Karl-Bröger-Zentrum in Nuremberg, Germany on September 21st and 22nd, 2018 and it was attended by approximately two hundred participants from 14 countries. The program of the conference consisted of 35 scientific presentations as well as entertainment programs. The scientific program covered the following topics: the challenges of preserving the Circassian language; finding solutions to end the Circassians’ suffering in the 21st century; the Russian Occupation in 1864 – the Role of Europe – Solution of the Circassian question; the impact of globalization on the Circassian heritage, culture and tradition; Circassian challenges in the diaspora; the future of Circassians in the motherland and diaspora; the influence of globalization on challenges and solutions of maintaining Circassians in the diaspora. Building bridges of communication, by establishing collaboration and coordination efforts between Circassian intellectuals across the globe. Identifying areas of cooperation and connecting with the scientific and educational institutions in the motherland. Benefiting from the experiences of Circassian experts from across the globe and forming specialized committees to follow up on meetings and conferences. Encouraging those interested in the Circassian culture to learn more about their history and inspire their children to enroll in Circassian universities, especially in humanities programs, in order to consecrate the connection with the homeland. Striving to build a coalition to organize the common goals of all Circassian activists and institutions and address their concerns and work collectively to find solutions, which is consistent with globalization and the revolution of knowledge and communication. Removing barriers that prevent cooperation among those interested in Circassian affairs, and benefit from the experiences of other peoples. The General Assembly of the First International Circassian Conference calls upon the Russian Government to recognize the Right of Return of all Circassians who live outside North Caucasus. Returning Circassians to their homeland will bring back with them the diversity and economical breadth that will further strengthen the Russian Federation’s economy. Their integration into the societies of the North Caucasus will also enrich the cultural fabric of the entire country. We sincerely believe that any steps to be taken by the Russian Government in facilitating the immediate return of all Circassian compatriots will be in the benefit of the Russian Federation as well as the Circassian people. Therefore, it is time for the Russian Government to fulfill its honorable duty and recognize the right of all Circassians to return to their homeland in the North Caucasus. The General Assembly of the First International Circassian Conference condemns the unfortunate events that took place in the Republic of Kabardino-Balkaria on Sept. 18th and 19th 2018 and resulted in dozens of casualties and the arrest of many, according to reports from the region. The General Assembly calls upon all parties to be mindful of the sensitivity of the circumstances of the region and not to drift behind the suspicious schemes of creating dispersion between various parties. Furthermore, the General Assembly calls on being vigilant of all attempts aimed at destabilizing the region. The Second Conference will be held next year (2019). The Conference is to be held in Europe. The location and exact date will be determined and announced as soon as possible. Circassian, international and local media outlets should be invited to future conferences. Forming a Scientific Committee and an Organizing Committee for the Second Conference. The committee members will be announced as soon as the location of the Second Conference is determined. Creating an international donation apparatus that takes into account the legal challenges related to fundraising in countries of interest. From this premise it follows that maintaining the legal safety of the organization and the donor is of utmost importance to the financial counsel – an objective only feasible via sophisticated cooperation among specialists whose primary task is to diminish, if not entirely prevent, potential legal violations on the part of the organization and the donors. It is worth noting that the CRO is an international establishment that is legally registered and fully capable of accepting memberships and donations. Promoting a culture of donation among Circassians by implementing marketing strategies aimed at normalizing the concept of monetary philanthropic contribution within the community. Reaching out to the younger generation not only by the mere call for contribution, but by the proper utilization of connections and the resources at hand so as to sponsor and accommodate the current needs of our youth. Promoting a relationship of reciprocity between the Circassian organizations and the youth helps to reinforce the positive-sum nature of contributing to the organization. Sponsoring and starting new businesses and investments in order to employ our qualified candidates and to secure a more stable financial footing for the Circassian organizations. Creating a reliable, impartial and multi-lingual platform on the internet that contains resource persons and entities, an e-library, news outlet, language lessons and any matters that concern the Circassian world. This platform should connect to existing platforms, e.g. YouTube and other social media outlets, and especially to sites created by Circassians around the world. The common theme should be to respect all peoples and cultures. Establishing a Circassian digital library that archives all documents, books, documentaries, songs, movies and all other Circassian related works and make them available and accessible to the public without the violation of any copyrights. Encouraging the public to share all successful stories of people who have learned the Circassian language. These stories can be utilized to motivate the general public to learn the language. Establish an electronic platform to facilitate communication between participants of the First International Circassian Conference to exchange ideas, build a stronger network and invite Circassian activists and those interested to join. The use of the Circassian language as the official language of the platform is highly recommended. What do you think about this decision? Do you support it?